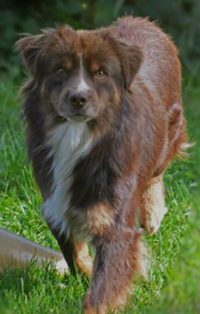 Chase was bred by Shana & Greg Witbeck of Away To Me Aussies in Utah, USA. Chase was imported into Europe from the USA and has been shown successfully on the European Conformation circuit. 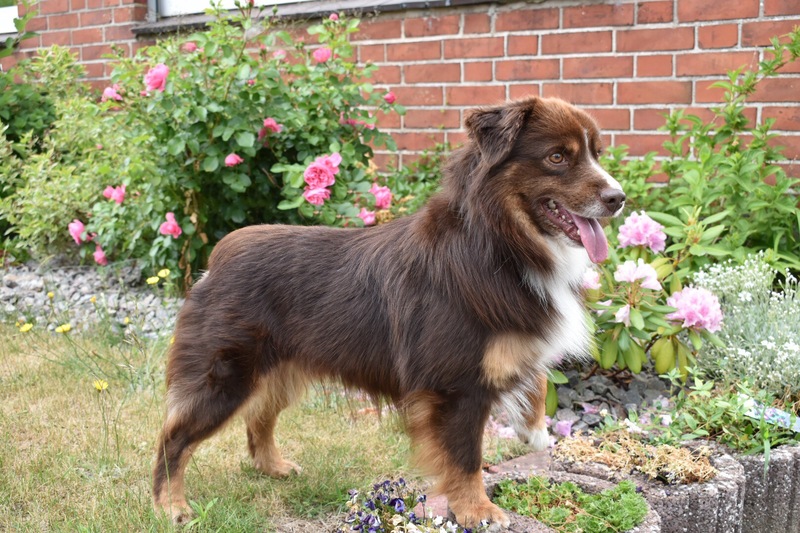 He lives with Sandra Most of Pretty Colours of Sea in Germany and we are extremely grateful for her letting us use Chase for Marvel’s first litter. Chase is fun, loyal and easy-going. 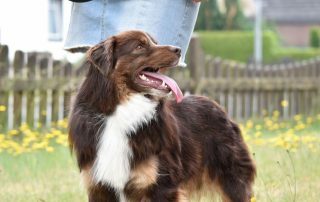 He has a fantastic temperament both at home and also in busy show environments. 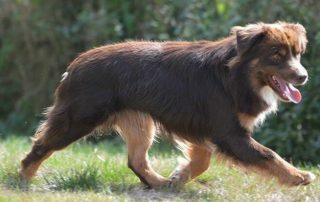 He has amazing movement, with fabulous drive and extension. 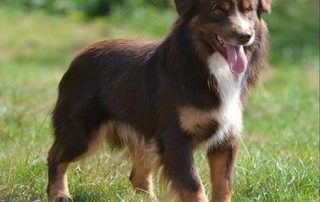 His fantastic structure coupled with his excellent nature means that Chase has obtained multiple Best of Breed qualifications, gaining ‘Excellent’ in every show he’s entered, as well a Champion of Hungary (CHHU.B) title at the end of 2017. 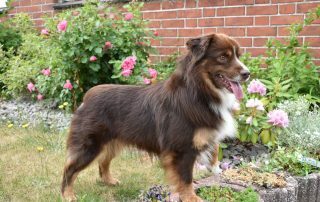 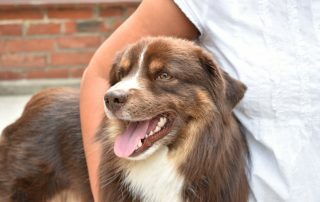 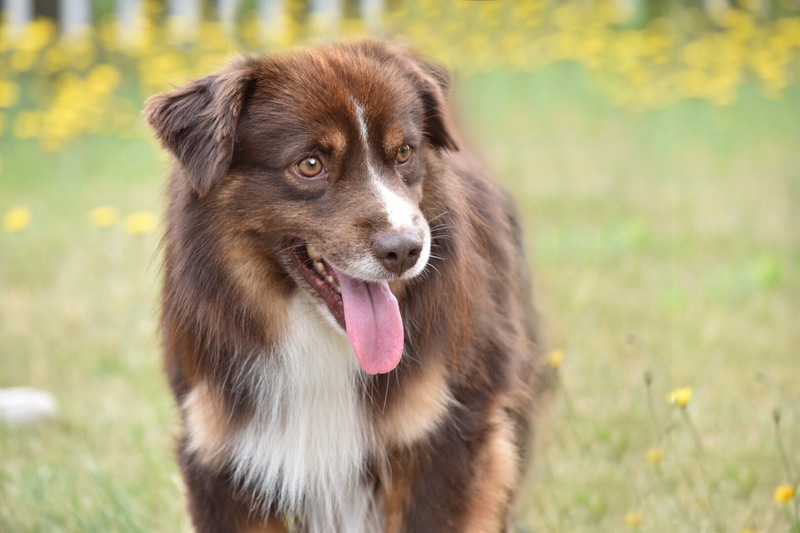 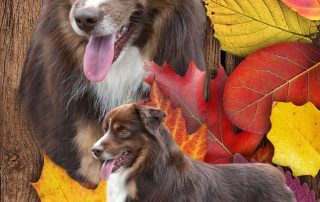 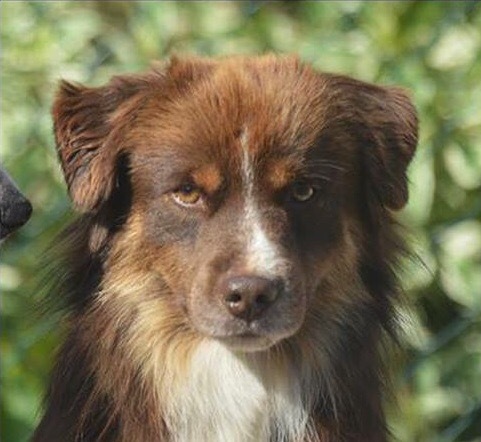 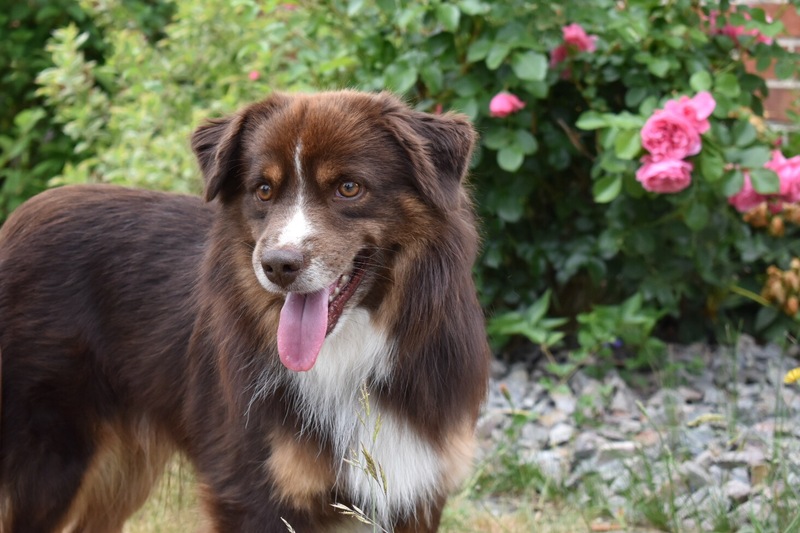 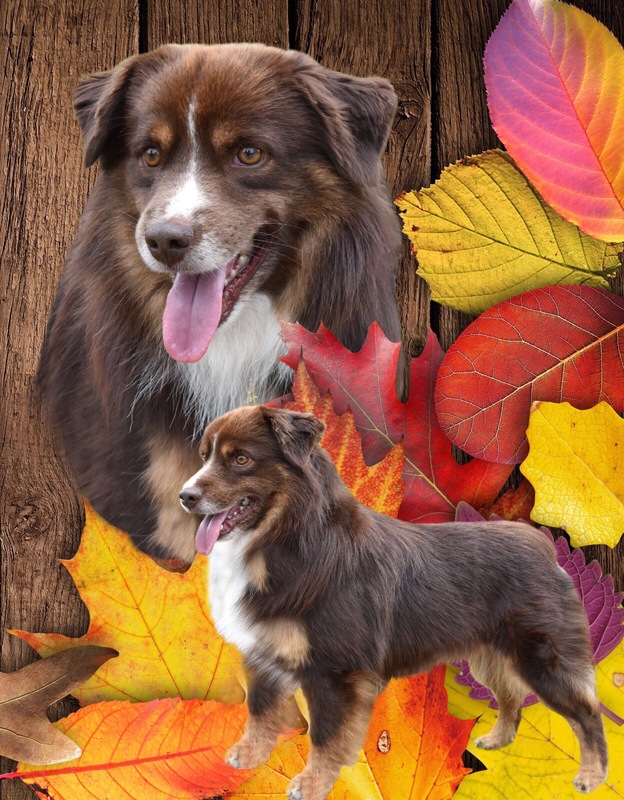 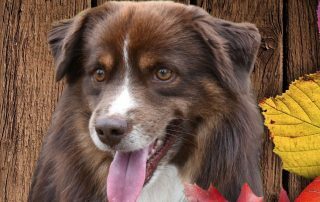 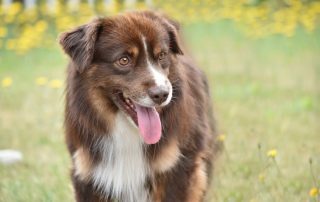 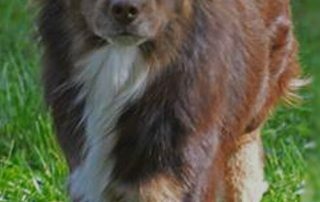 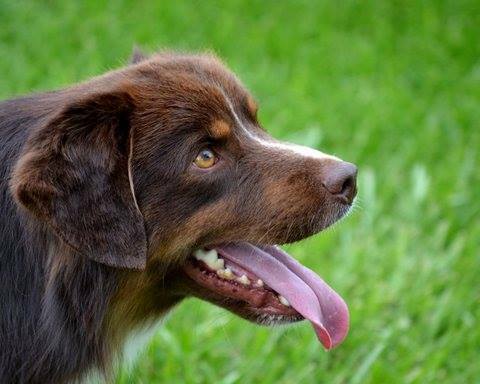 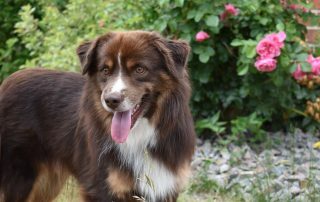 Chase comes from a healthy and structurally sound line of US dogs, who have strong show lines, giving a distinctive ‘Aussie’ look in a smaller package. 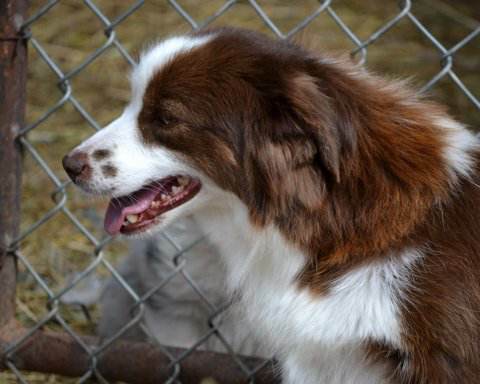 His siblings and puppies both undertake agility and in the US his lines have been used for herding alongside showing. 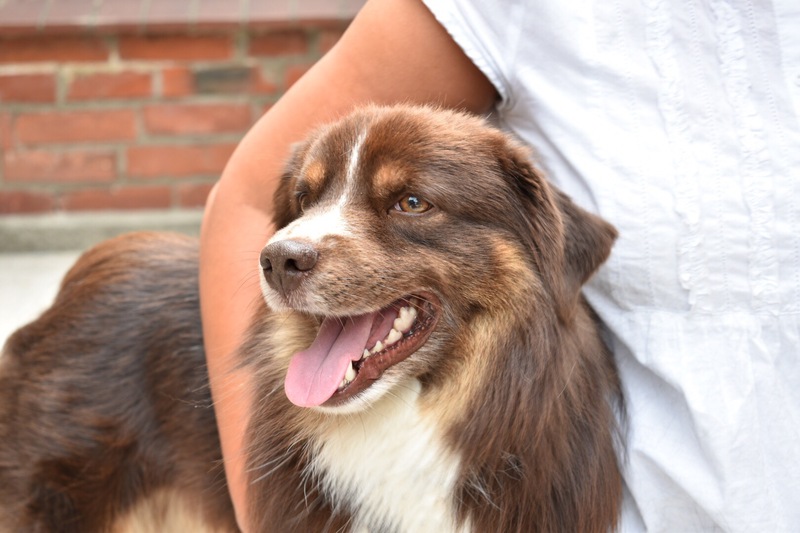 Chase is a much loved member of Sandra’s family and loves to go jogging with her son. 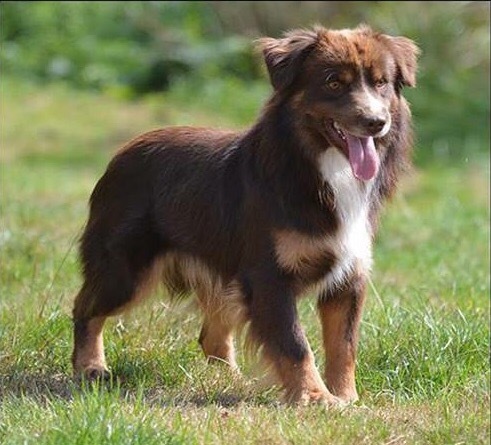 With his small, perfectly structured frame we are excited to see the versatile puppies that Chase will produce with Marvel, and are look forward to what these pups will achieve with their owners. Chase was born in the USA, and stems from strong show lines. 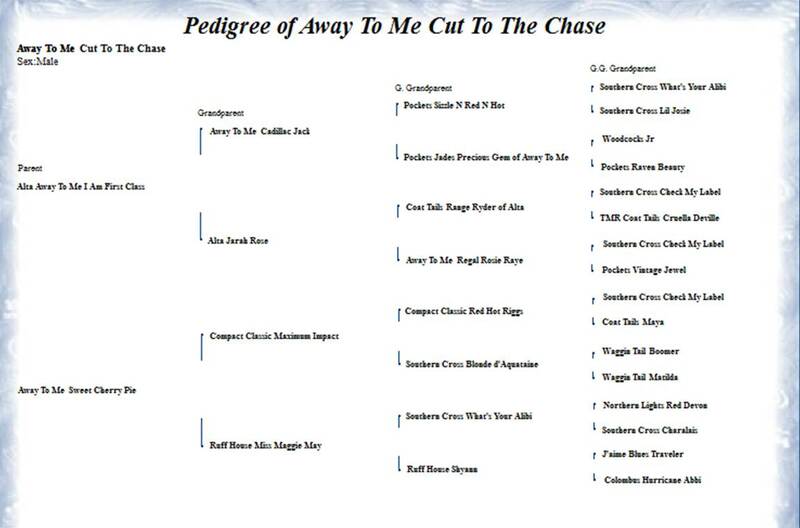 His sire, Sawyer, stands at 38cm and is at Ivie Farms in the USA. 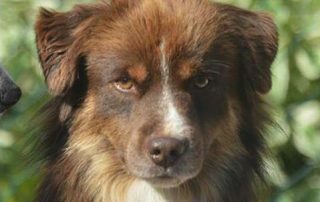 Chase really is almost an exact copy of his dad! 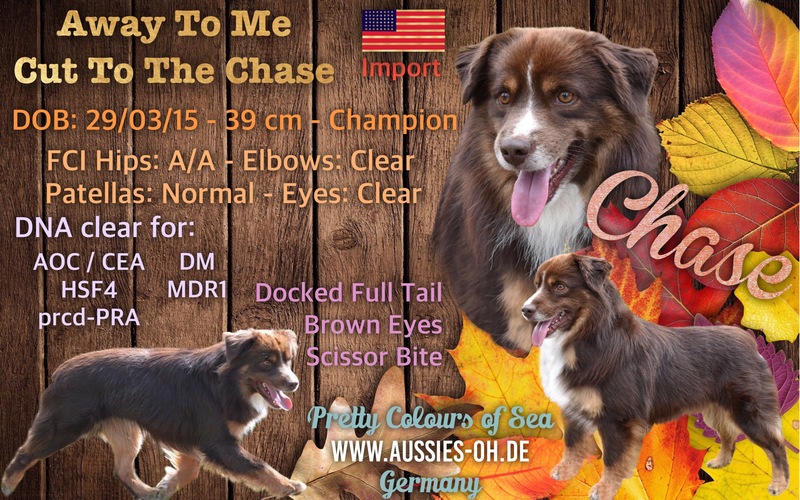 Chase’s dam, Cherry, stands at 38 cm and lives at Away To Me Aussies, in the USA.